Blitz-CineStar is the largest and most successful cinema chain and theatrical exhibitor in the markets of former Yugoslavia (Croatia, Bosnia & Herzegovina and Serbia). CineStar Cinemas group operates a total of 21 multiplex sites in the region, with 132 digital screens, and an overall seating capacity of over 21.000. 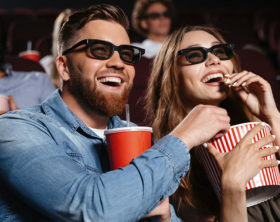 Its cinemas are equipped with cutting-edge technologies and premium formats such as IMAX, 4DX, Gold Class and Boutique Cinema. 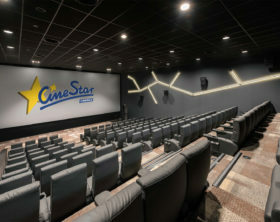 The CineStar brand originally evolved from Kieft & Kieft Filmtheater GmbH, which, after over four decades as a single cinema operator, opened its first multiplex cinema in Germany back in 1993 and the brand has ever since been standing for a superb combination of individual architectural design, superior comfort, sophisticated interior, in addition to innovative sound and vision technologies, with over 100 sites - not only in Germany but also across several other European countries. Blitz-CineStar, the largest and and most successful cinema chain in the region, opened its new multiplex cinema within Delta Planet mall in Banja Luka, Bosnia and Herzegovina, on the 4th of April. Blitz-CineStar, the largest and most successful cinema chain in the region, announced that it has been named the 2019 recipient of CineEurope’s “International Exhibitor of the Year” award. Ada Mall, a new shopping center under construction in Belgrade, Serbia, announced that it has attracted a new tenant – the largest cinema operator in the region, Blitz-CineStar.